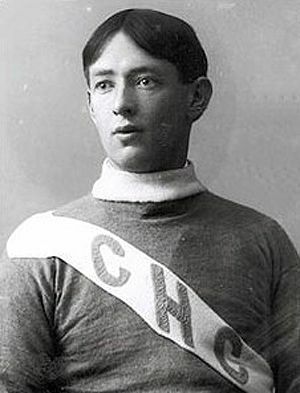 In 1909, goaltender Georges Vezina joined his local team, the Chicoutimi Hockey Club. The club, known as the Saguenéens, played an exhibition game against a brand new club playing in their first ever season, the Montreal Canadiens in February of 1910. Vezina shutout the Canadiens by a score of 2-0 that evening. So impressive was Vezina's performance that his opponent that evening, Joseph Cattarinich, recommended Vezina to his team owner George Kennedy, who reached an agreement with Vezina to play for the Canadiens beginning with the 1910-11 season. 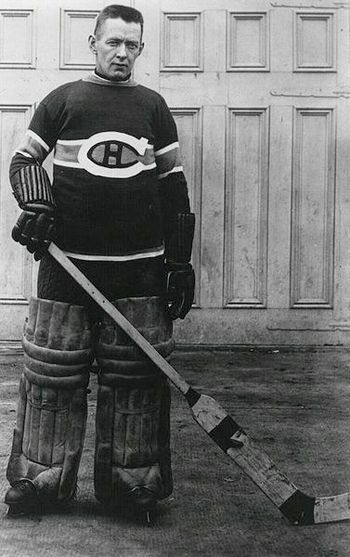 Vezina made his Montreal debut on New Year's Eve in 1910 and went on to play all 16 of the Canadiens games in the National Hockey Association (NHA), finishing with a record of 8-8 while allowing the fewest goals in the league and his cool demeanor earned him the nickname the "Chicoutimi Cucumber". 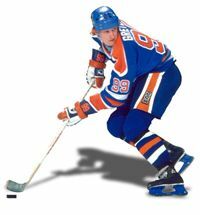 The following year he again led the league with the fewest goals allowed, but Montreal gave him little offensive support and their 8-10 record left them in last place. 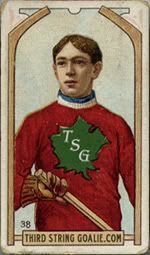 He recorded his first professional shutout, as well as the first in Canadiens history, with a 6-0 win over the Ottawa Senators on January 18, 1913. After finishing with a 9-11 mark that season, the Canadiens improved in 1913-14 when Vezina posted his first winning season with a 13-7 mark, good for a tie for first place with the Toronto Blueshirts, who defeated Montreal in a two game playoff series for the championship. After a last place finish in 1914-15, Montreal rebounded strongly in 1915-16 to earn their first O'Brien Cup as NHA champions with a 16-7-1 record. As champions of the NHA, Montreal earned the right to host the Portland Rosebuds of the PCHA in a best-of-five playoff for the rights to the Stanley Cup. Portland shut out Montreal 2-0 in Game 1, but the Canadiens came back to win the second game 2-1. Game three also went to Montreal 6-3 prior to Portland evening the series with a 6-4 win in Game 4 to set up a winner take all Game 5. Vezina and the Canadiens then captured the first Stanley Cup in franchise history with a 2-1 win over the Rosebuds in front of their fans at the Montreal Arena. Vezina from the Stanley Cup winning season of 1915-16. 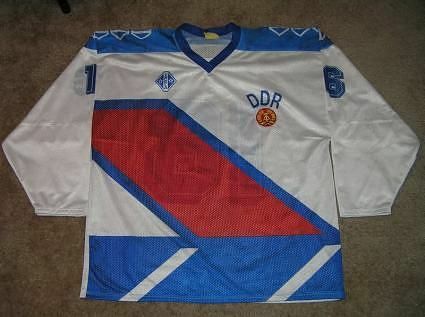 Note the "CA" logo on the chest, worn prior to the now familiar "CH" logo, which would arrive the following season. Montreal defeated Ottawa in a two-game, total-goals playoff 7-6 to remain NHA champions in 1916-17 to earn their second O'Brien Cup but fell in the Stanley Cup Finals to the Seattle Metropolitans. 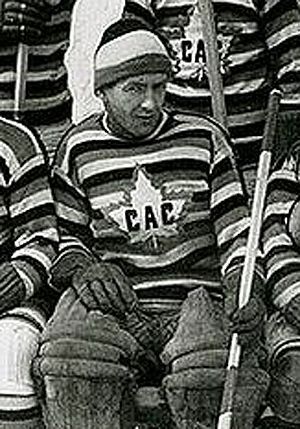 For the 1917-18 season, Montreal began play in the new National Hockey League (NHL), Vezina recorded the first shutout in NHL history on February 18, 1918 and early in the next season, on December 28, 1918, he became the first goaltender to ever earn a point in the NHL when he was credited with an assist in a 6-3 win over the Toronto Arenas. While Montreal finished second during the regular season, they defeated Ottawa in the playoffs for their first NHL championship. They then travelled to Seattle to face the Metropolitans in the Stanley Cup Final, but play was suspended with the series tied at 2-2-1 when players began to become sick due to the Spanish Influenza epidemic, which would claim the life of Canadian Joe Hall. 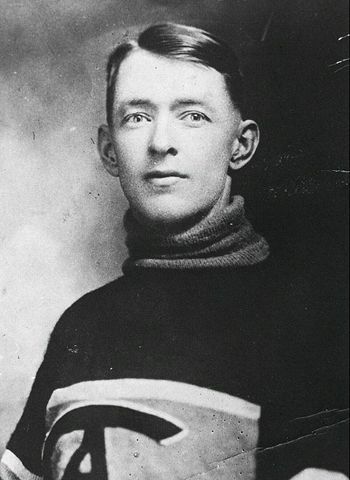 After four more seasons with Montreal, each with a winning record, Vezina established an NHL record with the first goals against average under 2.00 when he finished the season at 1.97. Montreal then defeated the favored Senators to become champions of the NHL and went on to capture their second Stanley Cup in 1924 when they first defeated the Vancouver Maroons 2 games to none and then the Calgary Tigers two games to none. In their four Stanley Cup contests, Vezina allowed just four goals, with a shutout in the final game to clinch the cup. The following season Vezina set career best marks with 17 wins as well as lowering his goals against average to 1.81. When Vezina arrived for training camp in 1925-26, he appeared sick, and by the time the regular season began on November 28, he had lost 35 pounds in six weeks and was running a fever of 102º. Still, he started the game against the Pittsburgh Pirates and held them scoreless through one period. During the intermission he began vomiting blood prior to insisting he begin the second period, but he collapsed on the ice and was taken out of the game. "In the arena, all was silent as the limp form of the greatest of goalies was carried slowly from the ice," reported one journalist. The following day he was diagnosed with tuberculosis and never played again. He returned home to Chicoutimi and died on March 27, 1926 just 39 years old. During his 15 year career, which began on this date in 1910, Vezina played every one of Montreal's 328 regular season and 39 playoff games and had the lowest goals against average seven times and the second lowest on another five occasions. With Vezina in goal, Montreal would win two NHA championships, three NHL championships and two Stanley Cups from those five appearances. His final combined NHA and NHL totals show 175 wins, 15 by shutout, a goals against average of 3.49 and another 15 playoff victories. In 1926 the owners of the Canadiens donated a trophy in his name, the Vezina Trophy, which is awarded annually to the most valuable goaltender each season in the NHL. He was elected to the Hockey Hall of Fame as a charter member of it's inaugural 12 man class on this date in 1945. 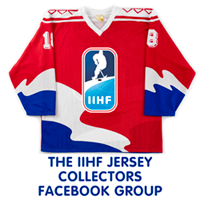 Today's featured jersey is a 1910-11 Montreal Canadiens Georges Vezina jersey. 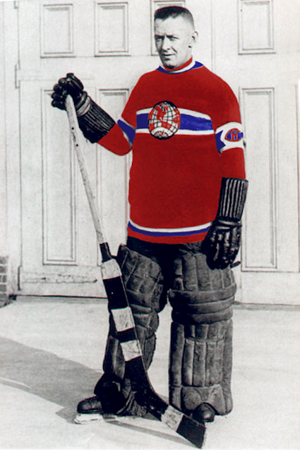 While the Canadiens are known for their iconic Bleu, Blanc et Rouge jerseys with the blue band across their red jerseys, the earliest version of of today's well known look did not arrive until the Canadiens fourth season of 1912-13 when their white, blue and red barberpole jerseys caused the Ottawa Senators to complain that Montreal's barberpole sweaters were too similar to their white, black and red version. The Canadiens response was a red sweater with a blue stripe across the chest, worn only against Ottawa. Prior to that, the Canadiens wore a blue sweater with white striping for their inaugural season of 1909-10. 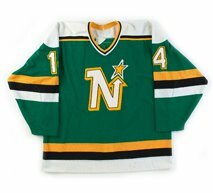 For their second season of 1910-11, a gorgeous red jersey with white and green trim arrived, adorned with a green maple leaf and an Old English "C". Despite it's attractiveness, this sweater would be worn for just one season. Today's video selection is a brief look at the career of Georges Vezina.